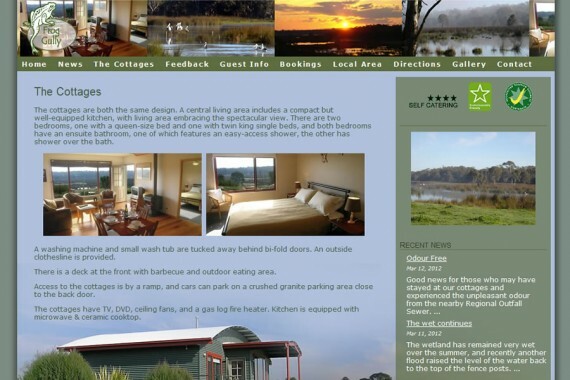 This is the second design we’ve done for Frog Gully Cottages. Everybody loved their first site so we kept a similar theme and integrated a content management system to allow them to do their own updates as required. 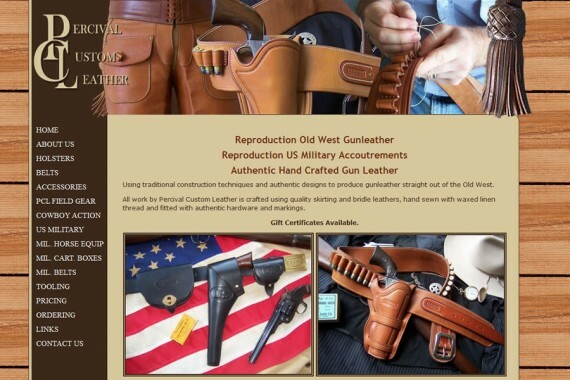 Percival Custom Leather had an existing website that was very unattractive, didn’t function in the most popular browser (none of the links would work) and had broken order forms. Anchor Web Design started from scratch to give them a brand new look which was much more suited to the professional image they wished to portray. 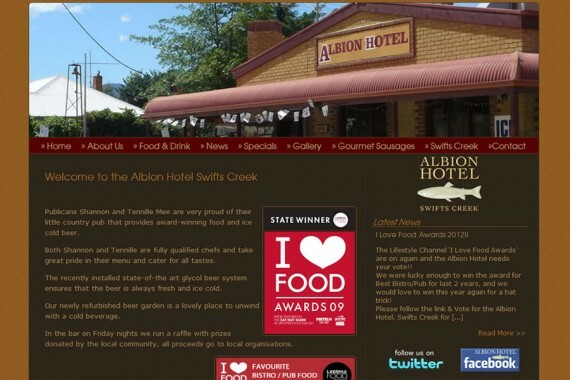 The Albion Hotel in Swifts Creek came to us desperate saying “Fix our website please!” after being unhappy with the company they had been trying to work with to develop their website. They excited by both the speed in which we had their new site up and running given their urgent needs at the time. 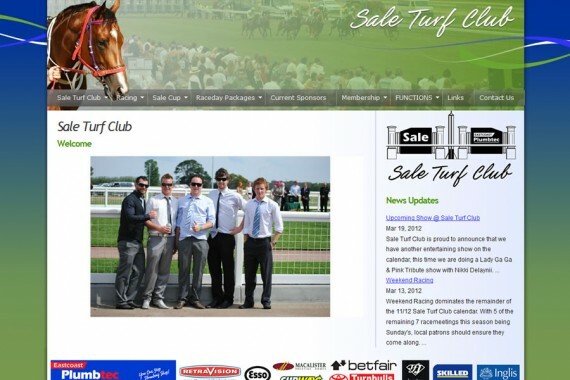 The Sale Turf Club had a very out dated website that wasn’t easily updated. We gave them a total face lift with a fresh new professional look and built it all within a content management system making it very easy for them to make updates to the site from their own administration office.